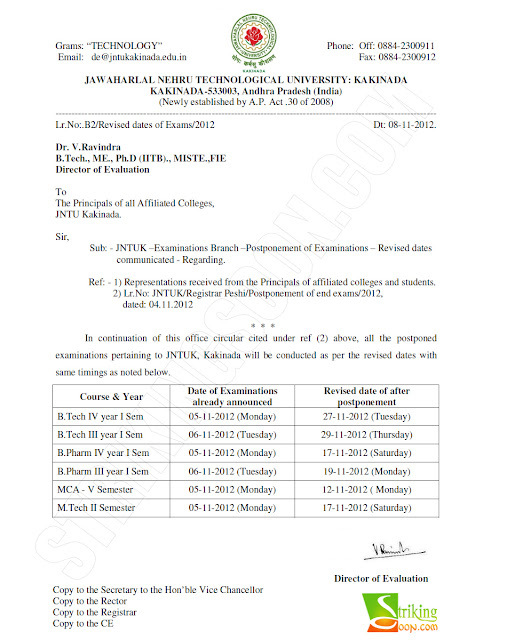 Postponement of Exams due to NeelamCyclone on Nov 5th & 6th , revised dates are updated . . ! check out the revised dates from the below official notification...!